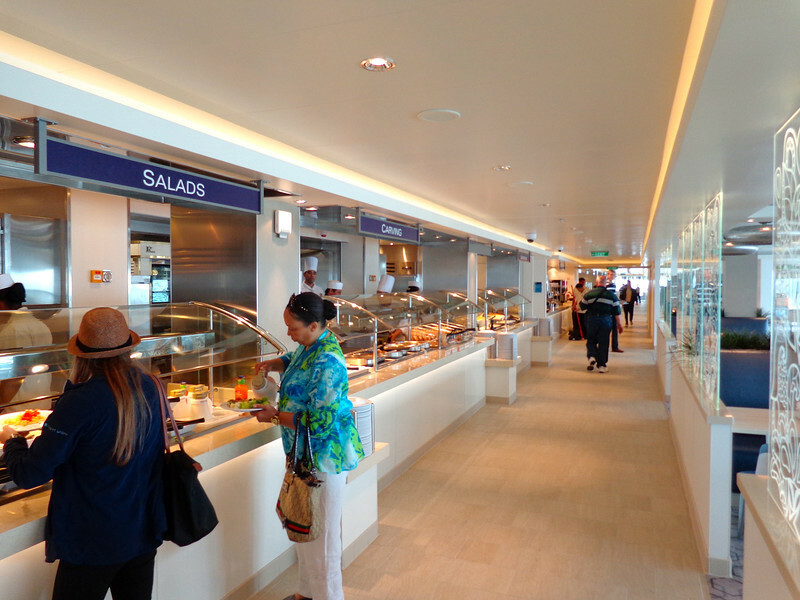 There's a look at the buffet area on Breakaway... unlike traditional ships though no need to stand in long line-ups to grab that one item you want. Here they have "Action Stations" that feature Pizza, Sandwiches, Salads, Hot items, ice cream, etc. and you simply go to the area that tickles your fancy.